Do you grow orchids or just love the way they look? 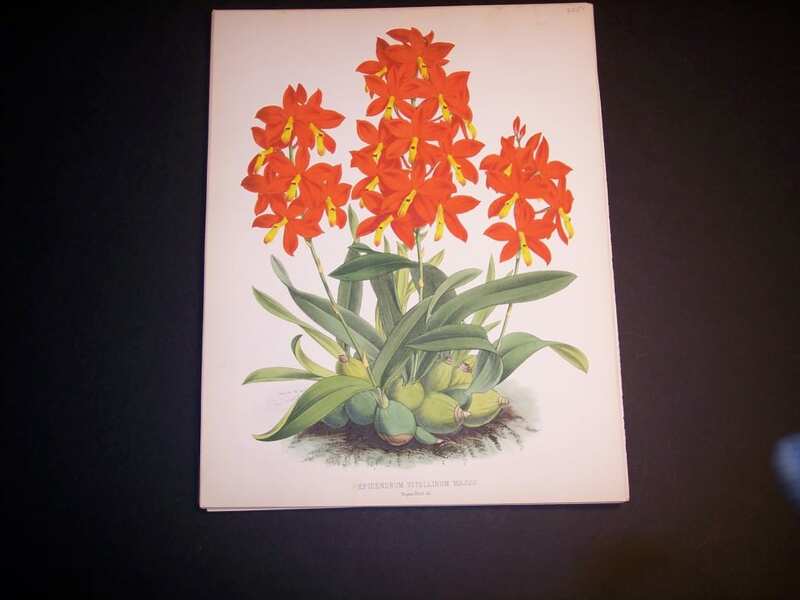 Find beautiful 19th century hand colored lithographs from Warner’s Orchid Album at Anne Hall Antique Prints! 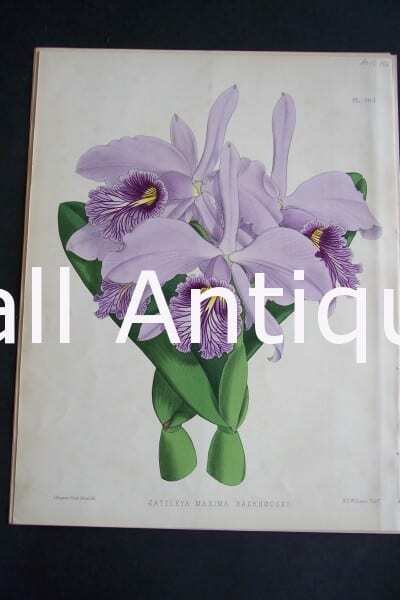 Orchids: 19th Century Antique Lithographs, Hand Colored in Pinks & Purples! 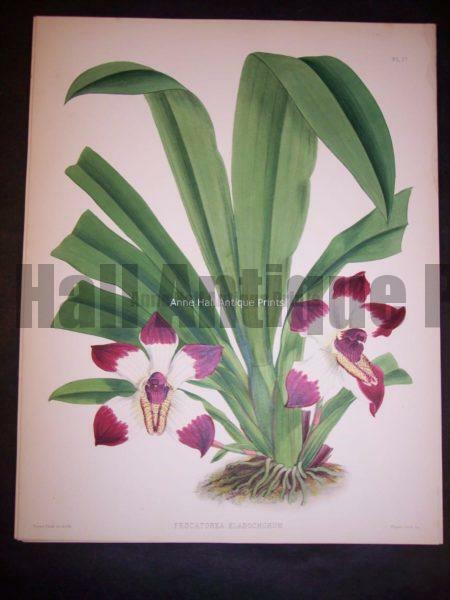 Warner Orchid Prints in pinks & purples. 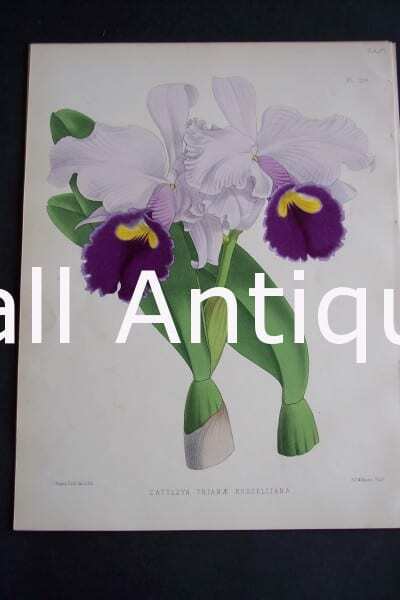 Hand colored lithographs of orchis varieties from England c.1885. 9 1/2 x 12″ Your choice $200. for one, or $175. each in sets. (Yellows and Oranges follow these). Cattleya Trianae Russelliana. Circa 1885. Warner Orchid Album. 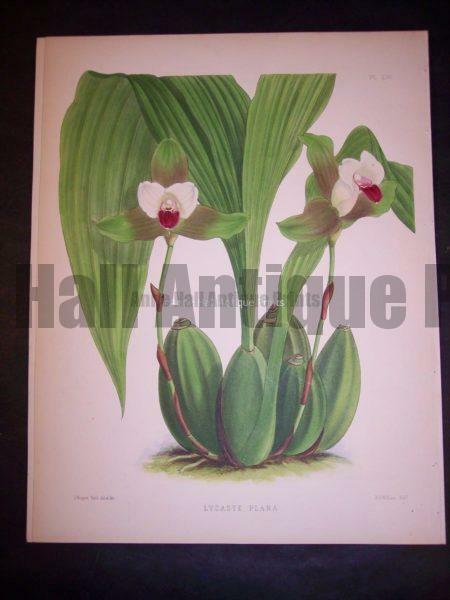 English hand colored lithograph of orchids. Cattleya Superba Splendens. Circa 1885. Warner Orchid Album. 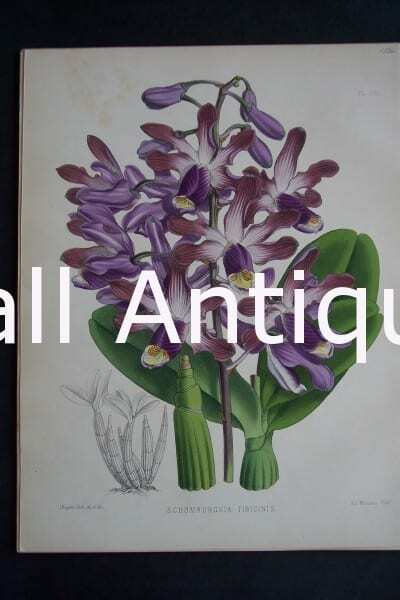 English hand colored lithograph of orchids. Cattleya Maxima Backhousei. Circa 1885. Warner Orchid Album. 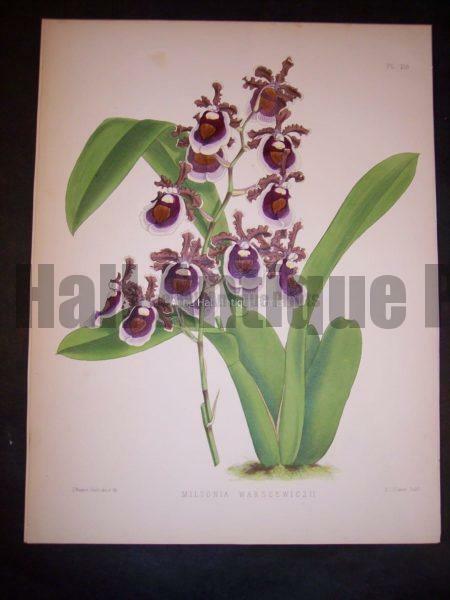 English hand colored lithograph of orchids. Laelia Callistoglossa. Circa 1885. Warner Orchid Album. 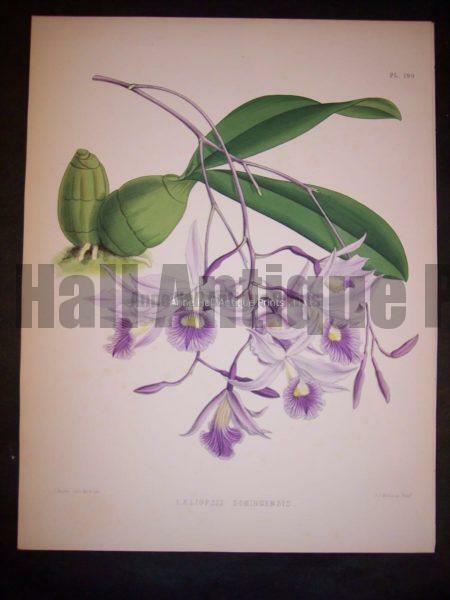 English hand colored lithograph of orchids. Cattleya Trianae. Circa 1885. Warner Orchid Album. 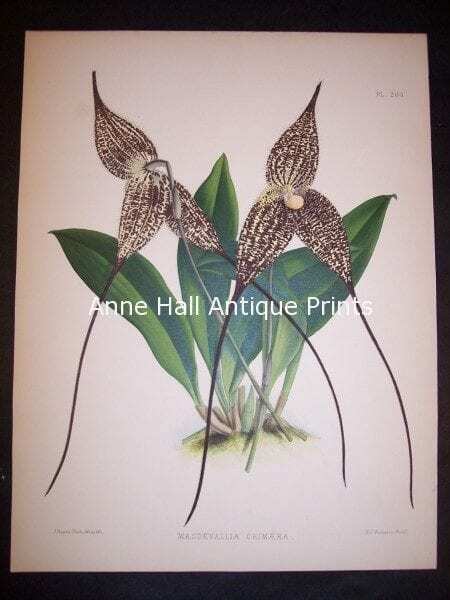 English hand colored lithograph of orchids. Schomburgkia Tibicinis. Circa 1885. Warner Orchid Album. 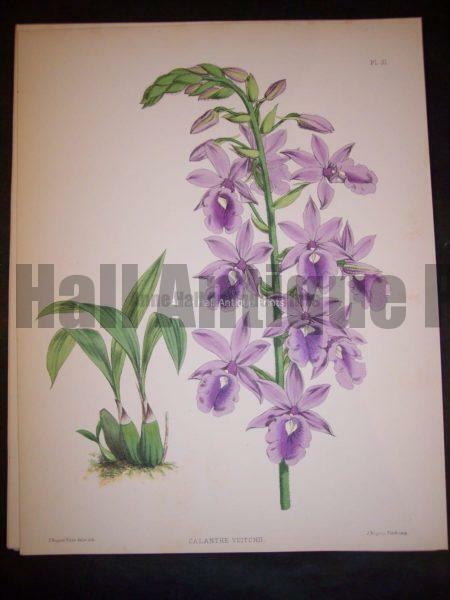 English hand colored lithograph of orchids. Masdevalla Chimaera PL 203, c.1885. Hand colored lithograph. $175. Laeliopsis Domingensis PL 199, 1885. $150. 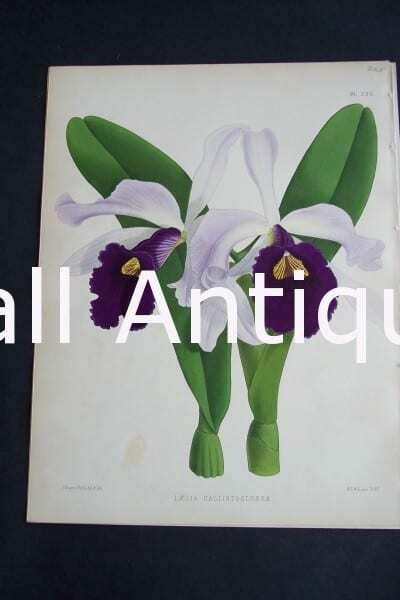 Miltonia Warscewiczii PL 216, c.1885. $150. 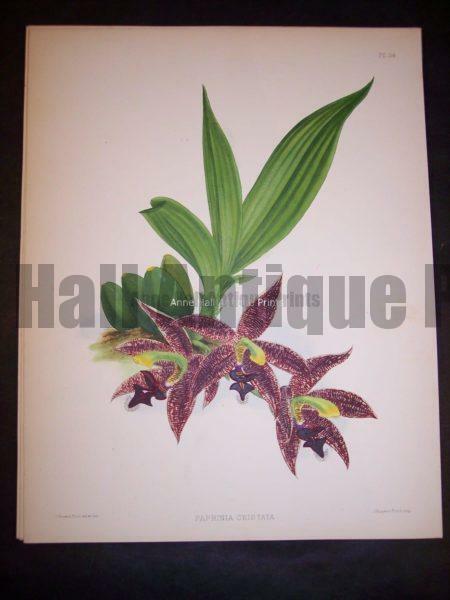 Calanthe Veitchii PL 31, c.1885. $150. Pescatorea Klabochorum PL 17, c.1885. $175. Paphinia Cristata PL 150, c.1885. $150. Lycaste Plana PL 230, c.1885. $150. Orchids from Warner’s Orchid Album. Hand Colored in Yellow & Orange! 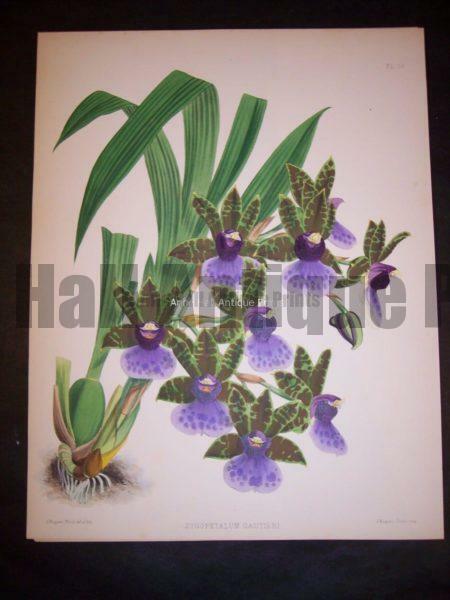 The following orchid prints are hand colored lithographs. 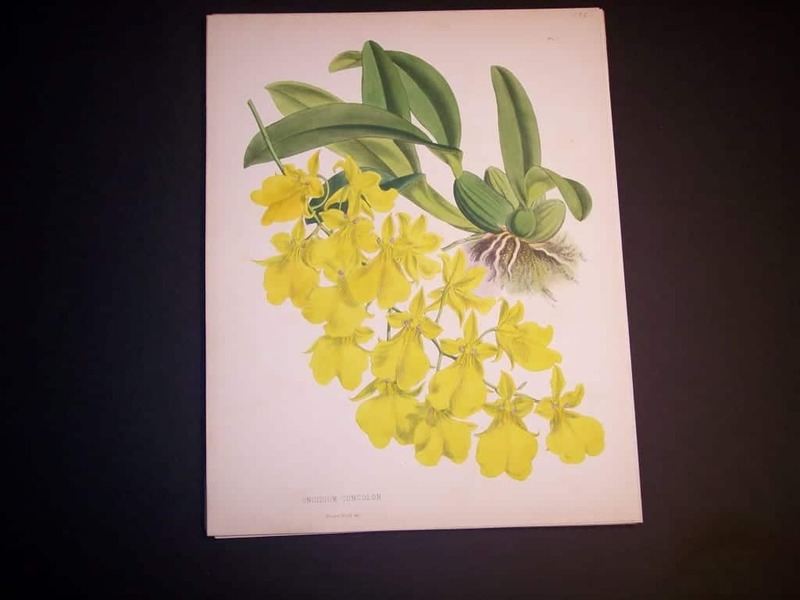 Tropical species of orchids, published in England c.1885. Stunning color and condition. Measure 9×12″ frame to 14×18 or 16×20 BEAUTIFULLY! Are you decorating a tropical home? Here we have orchids for tropical decorating. Laelia Flava from Warner’s Orchid Album. Hand Colored. $125. Masdevallia Harryana Armeniaca from Warner’s Orchid Album. Hand Colored. $150. 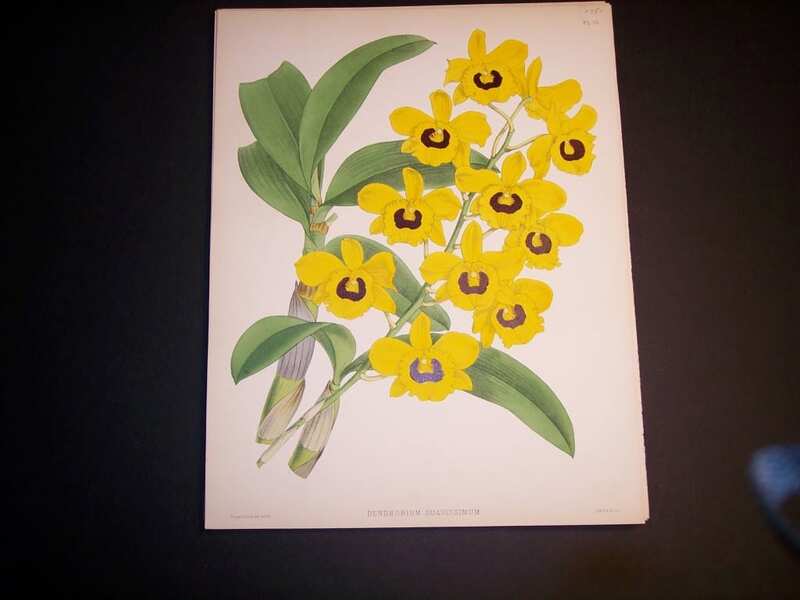 Dendrobium Suavissimum from Warner’s Orchid Album. Hand Colored. $125. 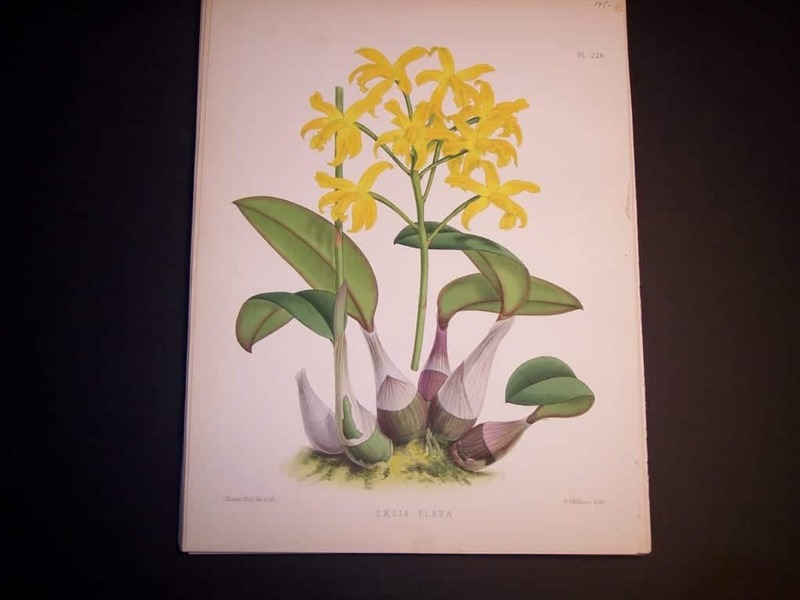 Epidendrum Vitellinum Majus from Warner’s Orchid Album. Hand Colored. $150. 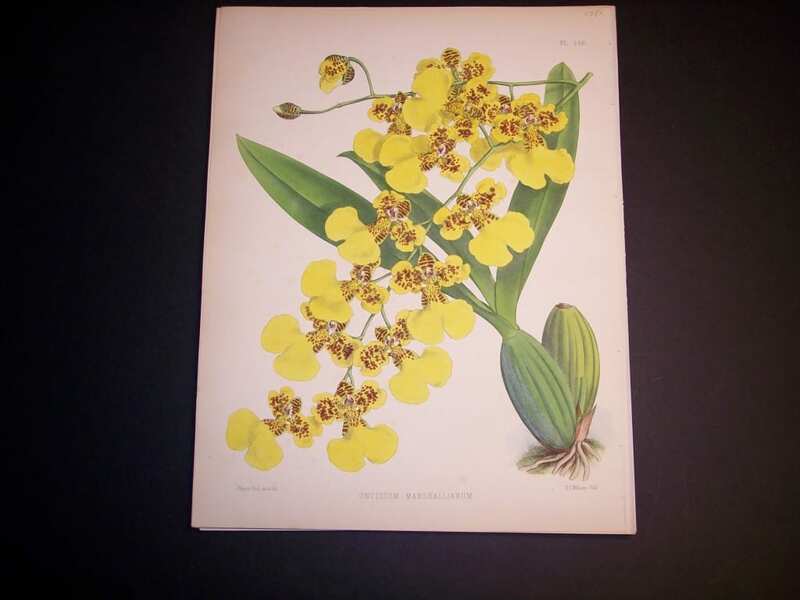 Oncidium Concolor from Warner’s Orchid Album. Hand Colored. $150. Laelia Xanthina from Warner’s Orchid Album. Hand Colored. $125. Yellow orchid from Warner’s Orchid Album. Hand Colored. $150. 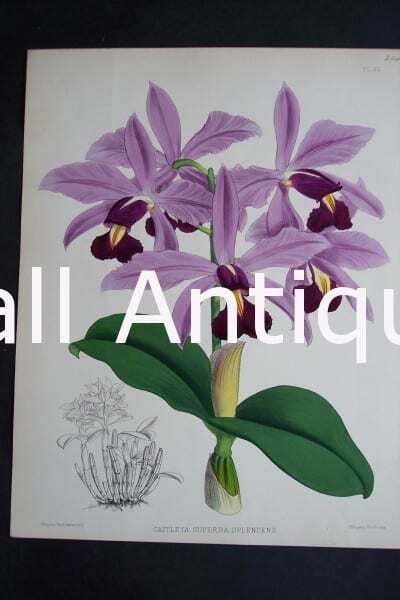 Laelia Flammea from Warner’s Orchid Album. Hand Colored. $125. 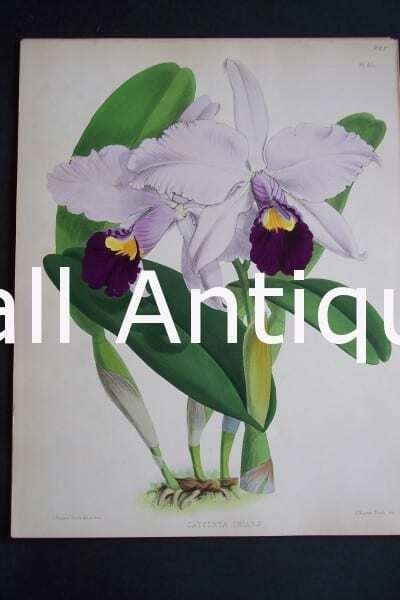 Get a great tropical look for your décor with our Antique Prints of Orchids! Our orchids came from the Warner Orchid Album. 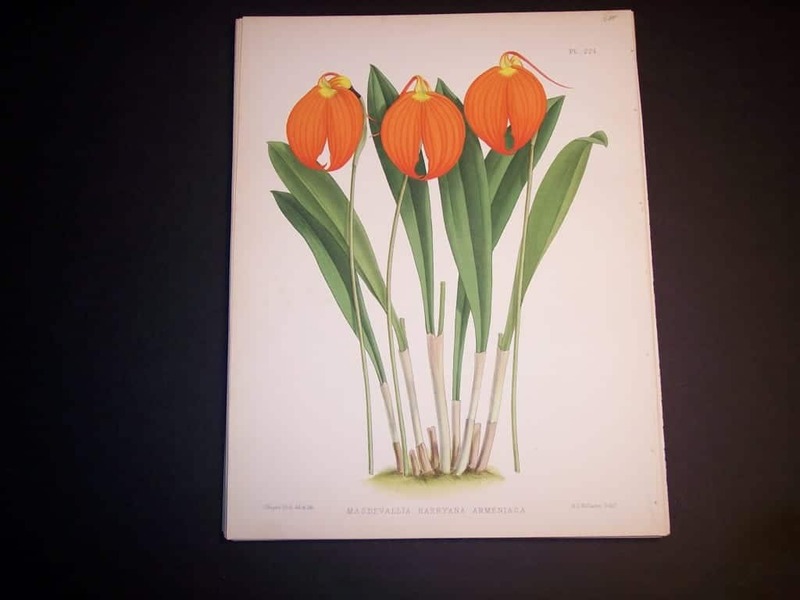 Get tropical flair for your decorating purposes with these bright antique lithographs that were published in the mid 1800’s! These tropical flowers are old orchis species. 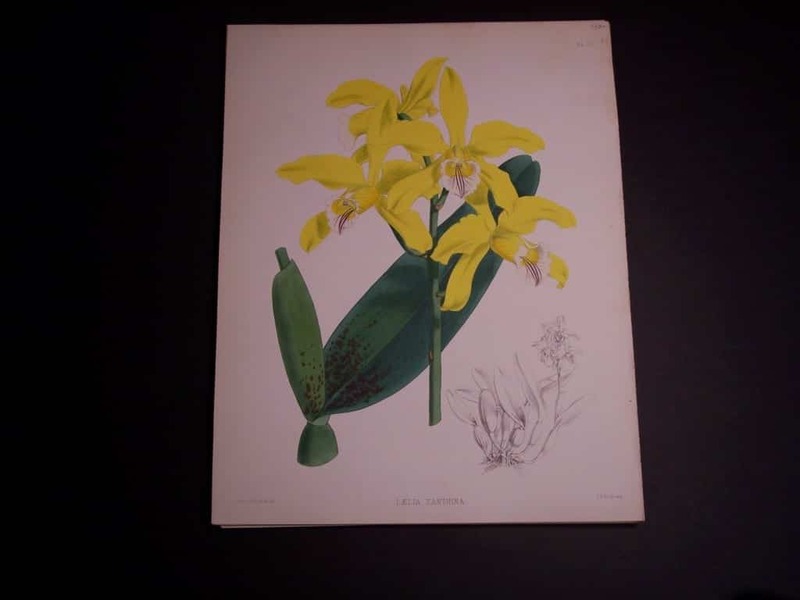 Orchid life was depicted by early orchid hunters, naturalists searching the world for new species of orchis. 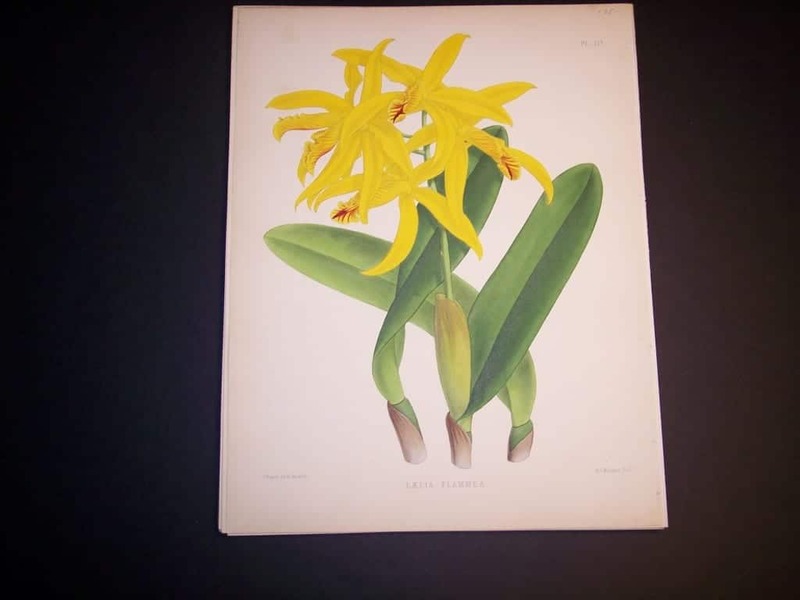 Hence the production of these old lithographs of a wide range of varieties which documented the findings from early expeditions. And to confuse matters, nomenclature over the years has changed, and most orchids have been renamed over the years, while new species are still being discovered and named today. Rare Books for Sale & Most Importantly an Explanation Behind Them.